News from the good folks at Image Comics is that everyones favourite half dragon, half human teenager is hitting shelves on the 1st of December in Firebreather Vol 3: Holmgang #1. Our protagonist, Duncan Rosenblatt, is the son of a human mother and a 怪獣 (kaiju) father. Kaiju means "strange beast" or "monster" in Japanese, the best known of which would have to be ゴジラ (Godzilla). Even though he's part human and part dragon he's still all teenager and has all the same concerns as any other, bullies, girls and unsightly blemishes (I made that part up). 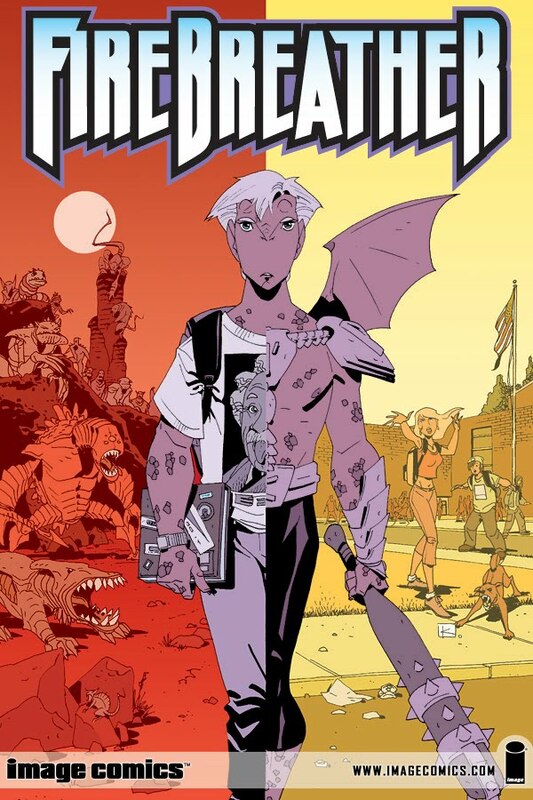 Firebreather Vol 3 is written by Phil Hester and drawn by the fantastic artist Andy Kuhn. It picks up directly from where Vol 2 left off, with Duncan's father dead leaving Duncan with the unenviable task of hiding his fathers death from his mother. "It feels great to be back in the saddle on Firebreather.” says Hester. “There's a great deal of Duncan's story left to tell, and we're thrilled that Image has given us free reign to do so. Andy Kuhn is pulling out all the stops on the art and Bill Crabtree is doing the best work of his career on colors. I can't wait for you all to see this." 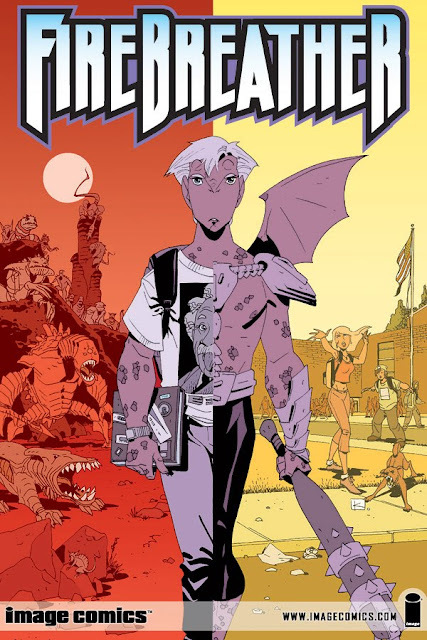 "Phil Hester is one of the best writers in comics,” adds Kuhn, “and I'm proud to be drawing the next chapter in the Firebreather saga. Every script I get is better than the last. Strap yourselves in, this is gonna be one helluva ride!" FIREBREATHER VOL. 3: HOLMGANG #1 (of 4) (OCT100443), a 32-page full-color comic book for $3.99, will be in stores December 1, 2010. FIREBREATHER VOL. 1: GROWING PAINS ($14.99, APR090360) and FIREBREATHER VOL. 2: ALL THE BEST HEROES ARE ORPHANS ($16.99, AUG082239). So there's no excuse for not jumping on board. Also, don't forget to check out the Firebreather movie, premiering on Cartoon Network this November.